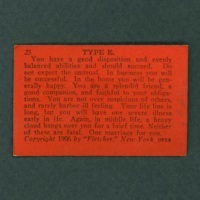 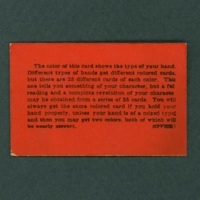 Among the numerous gadgets sold to supposedly yield one's fortune are various arcade devices, which generally dispense cards with readings on them. 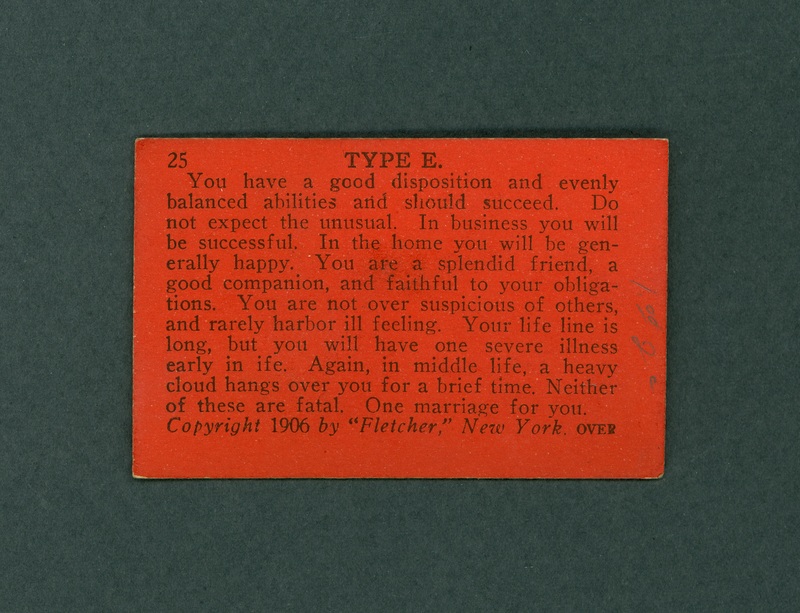 This typewritten ticket is the type that is dispensed from a mechanical Fortune Teller device, such as a "Zoltar" machine. 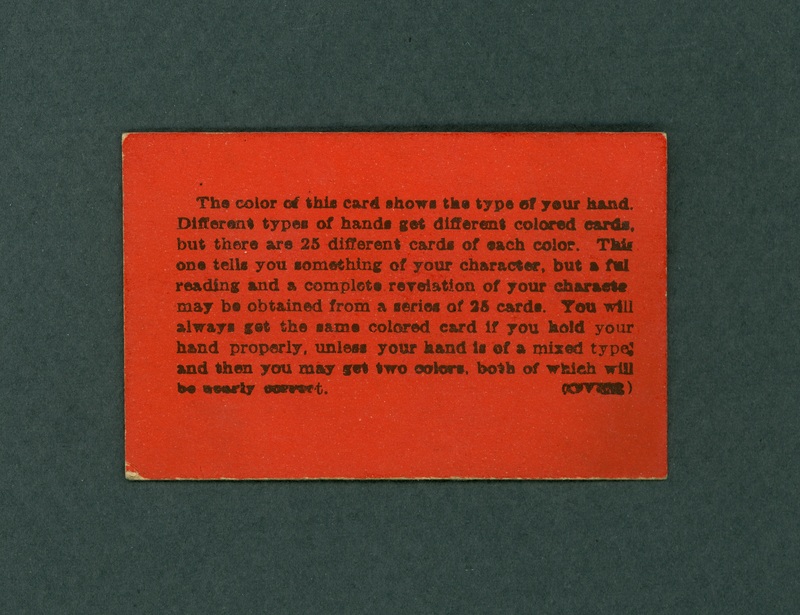 “Fortune Teller Machine card,” The Skeptiseum, accessed April 25, 2019, http://www.skeptiseum.org/items/show/431.